These quotes document the purpose of the project really well: To provide a space for articulating our humanity in a context of sometimes dehumanizing circumstances-both from within the sector, but also from powerful actors outside the industry who create humanitarian ‘theaters’ in the first place and then complain about the failings of those who step in to help. Julian Borger documents UN USG O'Brien's outburst at the UN for The Guardian. It is not just an appeal to those inflicting misery on Syria and its people, but also that the UN is only as strong, powerful and decisive as the outdated security council wants it to be. BBC News with a good overview of the 'Wonder Woman' debate. What did I learn about the demand for impact evaluations at the What Works Global Summit? Several discussions pointed to the trade-off between funds for studies versus those for actual programme implementation. It is true that most of the impact evaluations in developing countries, especially those in the poorest ones, are funded by donors. But we are still left with a larger ethical question. Can we really afford to spend millions of dollars on programmes that don’t work? But the issue with such funding is that donors then require impact evaluations to be carried out as much for accountability as for learning. Taxpayers in donor countries are increasingly asking: what’s in it for us? A rigorous impact evaluation is an imperfect instrument for accountability given its cost and timeline. But they do offer valuable lessons on what works and what doesn’t, which in the end can save taxpayers’ money. A New Health Care Project Won Awards. But Did It Really Work? Shukla says WHP-Sky was always supposed to be something of an experiment. "This is a learning project, and it was test [of] what hasn't ever been tested before," she says. "Whether the project has failed or made a good impact, the lessons we've learned from the project are very crucial." For one, Shukla says that people are pretty content with what they get from their informal health care providers, so future projects should enable providers to offer treatments and services that currently aren't available, like prenatal care. ReBoot's Panthea Lee with an interesting essay based on a recent keynote she delivered that provides ample food for thought to discuss development in our digital age. But Riep isn’t the only one to challenge Bridge’s “win-win” narrative. He’s part of a growing coalition of human rights professionals, who seek to halt the transnational corporate education reform movement. Education International (EI), the world’s largest federation of teachers unions, and ActionAid International, an international development organization with its secretariat based in Johannesburg, South Africa are at the forefront of this push back. 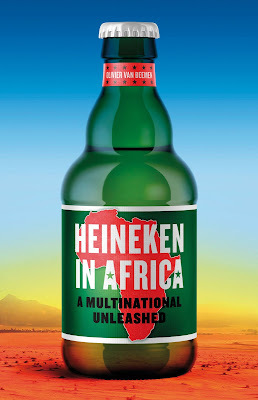 Maria Hengeveld for Africa Is A Country. Really interesting on many levels: First, how countries in Africa are - once again - replicating mistakes made in the global North, i.e. the privatization of education. Second, how this time in history it's philanthrocapitalism behind the drive, getting its foot into the education and knowledge industry. Third, an interesting project for AA to step in as part of an answer to the recently asked questions about 'the future of INGOs'! These developments underscore the challenge for the international community of preventing atrocity crimes, even when the warning signs are unmistakable and an international criminal court is investigating. But the Burundis of the world were always going to be hard cases for the ICC. The incentives to commit atrocities are powerful, and we expect poorer cooperation with international institutions when it violates states’ clear interests. South Africa’s departure is far more troubling. It should be an easy case for ICC cooperation — a country that feels little threat of being investigated by the court and has a tradition of strong engagement with the international community and leadership on peace and justice issues. Its decision to withdraw sets a far more palatable precedent for other ICC skeptics to follow and makes a mass exodus much more likely. The only problem? The committee didn't have any female members present. Jenny Wright, executive director of the St. John’s Status of Women Council, posted a tweet Tuesday highlighting the irony of the fact that she was about to speak in front of an all-male government panel about income inequality for women. Brian Bethune reviews Dallaire's new memoir for Maclean's. Now, however, something has changed. The battle for Mosul is not a media event, because nothing like mediation is taking place; there’s no need to control the narrative, because there is no narrative to control. It’s fundamentally stupid, a-signifying, trajectory without meaning, utterly fictive but without any need for artifice. You understand nothing from watching the live stream; unless you’re one of the obsessive types who gets private pleasure from listing and cataloguing different kinds of military vehicles, there’s nothing to be understood. Only the mute relay of meaningless events: the dead times. You see soldiers shuffling from one foot to the other, static shots of pylons and water towers rearing up in the mist, tanks grunting squat between low bombed-out brick buildings. It is what it is. There will be no moment of victory, even after Mosul is bombed into rubble: the eternal war is already victorious everywhere, its victory is the same thing as its omnipresence. There are no losses or setbacks, only a brief stuttering pause as it buffers, only a spinning circle while the combat gears up from blobby 240p to beautiful high definition. This is what you’ve been drafted into. And as always, don’t forget to like, share, and comment. So when TV shows or movies come into the neighborhood, offering roles for gangsters, pirates and would-be terrorists, being humanized is not enough. Fadumo knew that “humanization,” in seeking the exception, forgets the rule, forgets the actual community, and takes the story out of their hands. Filmmakers need voices like theirs, voices that do not ask to be given their humanity, but demand that we all bear witness to it. Musa Syeed for The Talk House with discussion that also lies of the hard of development communication: Who owns the story? And what are the limits of outsider engagement-regardless of how well-intended it is?